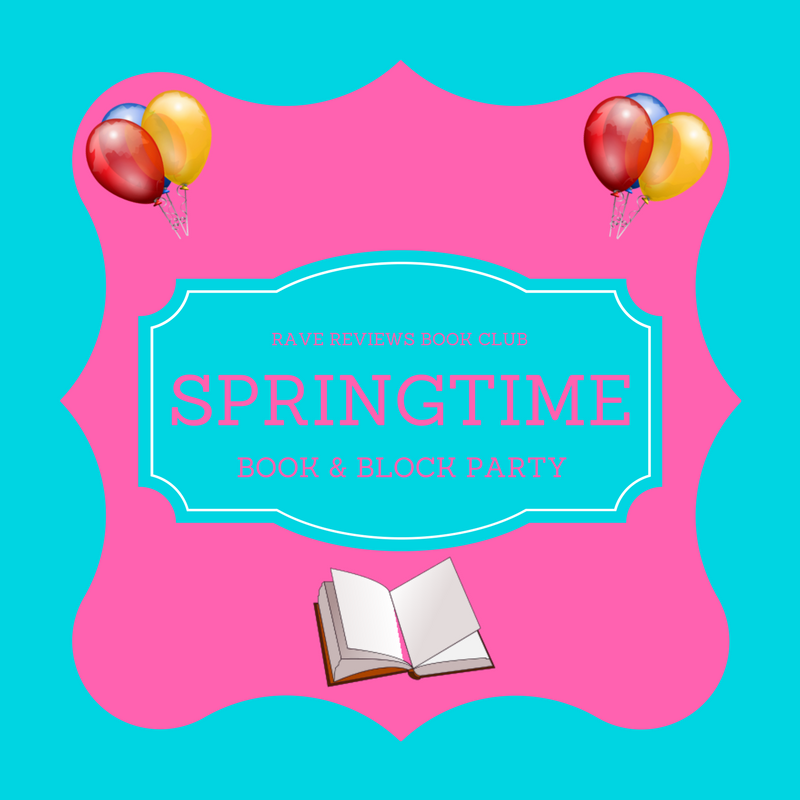 2017 SPRINGTIME BOOK & BLOG BLOCK PARTY! You Are Visiting Oak Park, Michigan USA! WINNER Patricia Green – Autographed Paper Back Copy Crazy! Hot! And Living On The Edge!! You all know how much I love history and old buildings with historic significance. That’ why I joined forces to help save our train station years before I thought about writing a book. I became the news after putting on a city-sponsored event to bring attention to this forgotten piece of history and in the process, discovered all the die-hard fans out there trying to save the station as well. The event was held in a replica train caboose on Belle Isle Park. Everybody was trying to get their 15 minutes of fame but the cameras were focused on me and what I was doing. I was on the TV stations and articles ran in the local newspapers. I gained a following and started the New Friends of the Michigan Central Depot. I also created a newsletter appropriately named, ON TRACK! 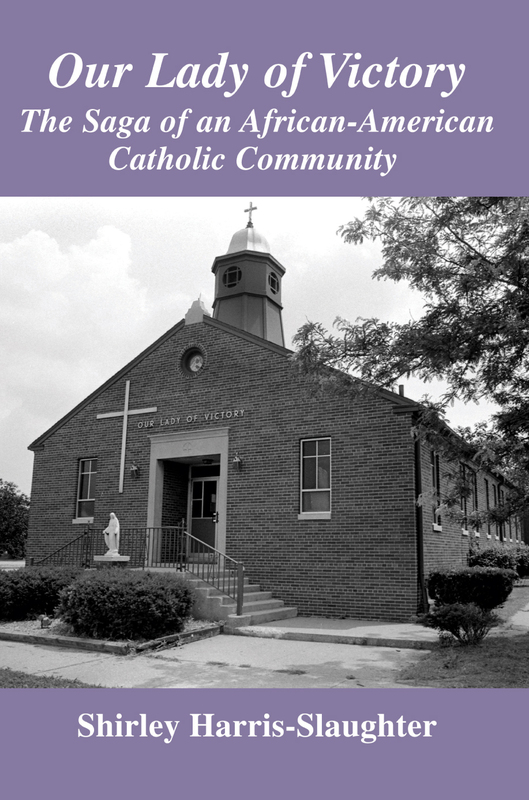 July 2, 2004, marked the 175th Anniversary of the founding of the Oblate Sisters of Providence. A Mass and reception/dinner took place in downtown Baltimore. The motherhouse is at 701 Gun Road in Baltimore, Maryland. This historic black religious teaching order of nuns staffed Our Lady of Victory School, and this is their story. Sr. Theresa Maxis was born of refugee parents from Santo Domingo. Many families fled Santo Domingo, Haiti, and other colonies of France and Spain in the nineteenth century. On their arrival here, they discovered a situation not all that much better than what they had left. Sr. Theresa was elected superior for what was to be the most difficult years of the order. It was not easy for a group of black Catholic women to move and live in a border state two decades before the Emancipation Proclamation was signed. Sr. Theresa Maxis left the Oblates in 1845, seeking to join a more established community. Instead, a Redemptorist priest from Michigan, Fr. Louis Gillet, convinced her to come with him to Monroe to work in a school at St. Mary’s Parish with another group of women. She was having some reservations about the fate of the Oblate Sisters, who were receiving so little support and welcomed the opportunity to move somewhere else where she found support. Detroit Free Press columnist Desiree Cooper wrote that when Mother Theresa came to Monroe, Michigan, she left behind her black identity, as she was biracial and could very easily pass for white. She became the first superior of the Sisters Servants of the Immaculate Heart of Mary (IHM). CRAZY! HOT! AND LIVING ON THE EDGE!! When I made the decision to write this story, it was extremely difficult to do. I hadn’t written anything down over the years so dates and timelines were woven together. The manuscript was a mess so I had to hire someone to help me get it into some kind of order. Had I gotten better advice, I would have written it in a fiction format and then it would have been easier for me to pour out my heart. As it turns out, I blocked a lot of the horror from my memory and so when it came time to put everything on paper, wads of the truth were left out. I was not true to myself and so I could not tell the story honestly and that I deeply regret. 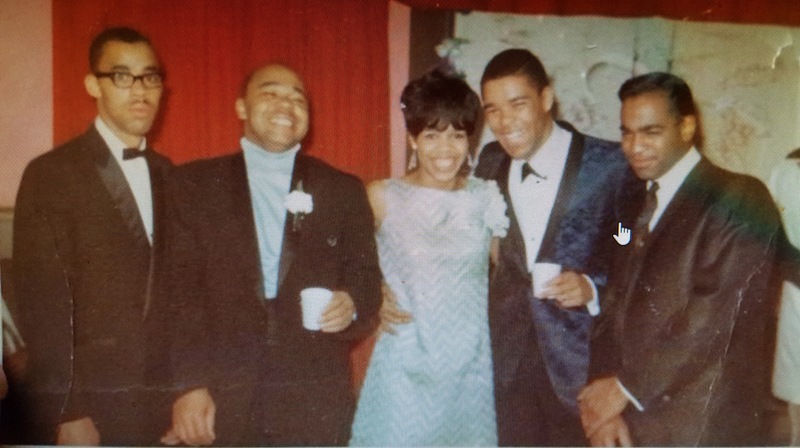 This photograph is of my ex-husband on the far right and his siblings. My son got this from one of the cousins. As you can see, my ex and his family were what I use to call the “pretty people” because they were all so attractive. I fell head over heels and so did he. He kept after me until he won me over. We had an intense love affair. We were smitten with each other, but, in the end, it was over before it could get started. We produced a child which he had no thought to love or care for. No emphathy, no parental instincts, no legacy…nothing! Here I was, divorced from his son and yet he had the courage to say this to a stranger whose only connection was being the step-father. You can’t get a greater compliment than that under those circumstances. Some folks did take away something that was useful to them from reading my story. I hope you get something from reading this book as well. Please check out the rest of the tour here! In order to qualify for prizes you must leave a comment below. Thank you so much for stopping by. This entry was posted in Blog Block Party and tagged 2017 SPRINGTIME BOOK & BLOG BLOCK PARTY!, Crazy! Hot! And Living On The Edge! !, Desiree Cooper, IHM, Immaculate Heart of Mary, Marygrove College, Michigan, Oak Park, Our Lady of Victory, San Dominican refugees, The Oblate Sisters of Providence, Theresa Duchemin Maxis. Bookmark the permalink. Bette, I have one of your books and still have not gotten to it. But will move it up as well. Thank you so much for stopping by. The party continues (kind of)! I love old buildings too and want history preserved. Your post reminded me of some of the petitioning I have done to make a building a historic site. Thank you and glad I got to stop by. Yes the party does continue. You are a woman after my own heart. Its nice to find someone with similar interests. Thank you so much for visiting here. Its never too late to party! What a wonderful post. I love old building, too, and just discovered the buildings I most closely associate with my childhood are being demolished soon. It’s odd, because I’m currently working on three books set on that block of buildings. Thank you for participating in this fun block party event. Hi Flossie.I’m glad you made it over but sorry you missed out on the prizes. So we have something in common. I’m looking forward to learning more about you and your works. Thank you for your support. It’s okay– np. I wanted to support. So sorry I missed the party. Wifi has been down for a few days. It’s back now. Wishing you so much success with your writing! Lizzie, stuff happens. I’m just glad you got here although you missed out on the prizes. But it balances out in the end. Oh wow! I can’t believe I missed yesterday’s party. For my defense, my allergies were acting up and I called it an early night. I had to stop by and leave a comment though. I have both your books on my Kindle and have read “Crazy” where I thought your honest, say it how it is, was inspiring. Hi Kim! Its never too late. I’m glad you finally made it. Its good to see you again. Shirley, thank you for both your honesty and your courage. I learn more about you and your journey with every post. I so look forward to reading both your works. Hi there Samantha? I’m glad you came. Let me know what you think when you finish reading. Thanks so much for stopping by. Hi Shirley. I’m sorry I’m a little late getting through your door today. I enjoyed your post, as I did your books. You are a fantastic writer, and I’m looking forward to whatever you bring us next. Rhani I’m so happy you made it. I don’t know when another book is coming out of me because there is still so much on my plate right now that I have to deal with.An agent definitely would not love me. lol Thank you for gracing us with your presence. This is my first tour and I really enjoyed this stop. Thank you. I really enjoyed this stop and I thank you.This is my first tour. I have so many books on my list to read. Adding “Crazy! Hot! And Living On The Edge! !” to my list. Hello Frances and welcome to my blog party. I’m glad to get to know you. Thank you so much for stopping by and I hope you enjoy Crazy! Hot! I think I’m going to have to learn to write fiction. Thank you Maretha for your support in helping me enjoy today’s tour. Great stop on the Block Party, Shirley! I have both of your books on my kindle. Hi Michelle! Sometimes these tours remind us to go back and read the books we have bought. Its hard to get through all of them. Thank you for your support. Hi Shirley, I feel like I already know you somewhat. I now know you better. Hope you are having a great day and loved the post. Good wishes. Larry, I am having a wonderful day because of my RRBC members. Glad you stopped by and I’m glad to get to know you too. Thank you. Yes Natalie, I was mentally thinking the same thing. We picked the same day to party. Thank you for stopping by. This is so much fun. Super post, Shirley. Wishing you the best. John I knew you would get here. You are the #4 from the State of Michigan and so you were on my mind. Thank you for your support. Linda I’m so glad you made it. Thank you so much. 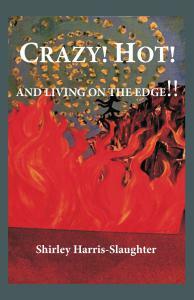 It took more courage to write Crazy Hot which wasn’t supposed to get written. OLV, on the other hand, was supposed to be written and that’s why it came out so well. I never wrote history before and I’m told there is an art to it. I’m glad I didn’t find that out til after I finished. lol. Hi Shirley, I’ve read both of your fabulous books. Best wishes with your book party. Thank you so much Wendy for your support and for taking the time to read my stories. If you have any questions this is the place to ask them. Glad you are here. Hi Shirley, I read, loved and reviewed Crazy Hot and am working my way to the other one which I know in advance I will love. I have a close relationship with Sr. Theresa of the Roses and she has often sent me her ‘little miracles’ from heaven. Have a great blog tour today and sell tons of your wonderful books. Thank you Micki. Your support is appreciated. I love reading history about places I don’t know. Both sound like great reads. Thanks for sharing. I’m glad to see you Charles and hope you get to read my stories. Thank you so much. Great post today, Shirley! I hope you have a super day on the Block Party! I’m enjoying the conversation. Glad you came by John. Glad you came by Lynn Miclea. Glad to get to know you. Great post Shirley! Enjoy the success! I’m glad you came by Jennifer. I’m enjoying every minute of it. Great post. Great blog. I agree with you about old buildings. We are too quick to rip everything down to put up some modern monstrosity in its place. Having lived in Europe, I was always impressed with the way buildings are preserved there. I am looking forward to reading Crazy Hot and Our Lady of Victory. I’m glad you can appreciate my passion too Ron. Thank you for your thoughts on the matter. I don’t know why I love history because it didn’t manifest itself in school. The teachers never piqued my interest. But evidently it was my calling. Thanks for stopping by and adding to the conversation. I hope you enjoy the reads. Shirley, thanks for a great & informative stop. Keep smiling! Thank you Rob for taking the time to visit my tour. Your coming put a smile on my face. Thank you. Good morning, Shirley! What a wonderful post for the #RRBC Springtime Book & Blog Block Party! The information on Sister Theresa is very interesting! I am such a lover of history and I know I will enjoy reading Our Lady of Victory! I admire you for putting your story into print. It isn’t easy to open up that completely! Thank you for showing me your courage. It is truly inspiring! I was inspired, Patricia, to write this. I felt that our history and memories would be lost and someone needed to preserve it. Who would believe any of this? Mother Theresa was a fascinating discovery which no one was supposed to find. I thought the IHM’s were an Order that did not have any blacks because I never saw any except for one high schooler of mixed race who wanted to join. It was a surprise to me and I never dreamed I would have a conversation about it. Thank you for your thoughts and I thank RRBC for giving me a platform. Another fabulous stop on the Block Party! Best wishes to you on your party day, Shirley! Thank you Marlena. I’m glad you stopped by. I was about to come looking for you. lol! Thank you Mike for your support and for visiting my stop. Thank you Shirley! I loved both of your books as you know. Have a great day! Thanks so much Mary. I appreciate your support and those tweets. You are the best! Hi Shirley, all the best to you today! I enjoyed both of your books…especially hope you have a sequel in the works for Our Lady of Victory! You know, I think one is shaping up. So much has happened since I wrote the original. I’ve been doing blog postings here and there. Browse thru my OLV Facebook page & websites for some additional updates. Thank you so much for your input Gwen. You are the best. Interest story Shirley, thank you for sharing! Its so nice to meet you Suzanne. Thank you so much for stopping by. Are you a member of RRBC? If not you are welcome to join us. I am a stepfather to two boys. That comment means a lot to someone in our position. Hope you draw a mountain of attention on your party stop today. Being a step parent is not easy by a long shot. There is a special place in heaven for those who are sincere with the responsibility. To everyone: I just found out last night that Nonnie lost her grandmother. Please pray for her and her family and know that if she is absent this may be the reason. I love you Nonnie Jules! Thank you so much Harmony for your support and for coming by. Dear Shirley, I still remember your books. It is at times like this that those books that have left impressions on me, return to mind, and with closed eyes, I revisit, and relive them. 😀 I am reliving you stories right now! 🙂 Do, enjoy your party. And Joy we can read and re-read and always get something different. I read OLV twice myself and each time I enjoyed it. You know that is unusual for your own works. Thank you for your support. Shirley, I have Our Lady of Victory already on my Kindle and my TBR. The story of Sr. Theresa Maxis is inspiring yet sad, based on the treatment she received later in life. Crazy Hot also sounds like a intriguing read, and I’m sure that one was hard to write. I love what your father-in-law said about your husband. Beautiful! Have a great party day. Yes Mae Clair. I think about what my former father-in-law said that day. He was crazy about his grandson and was grateful that someone cared enough to take up the slack. Real fathers are not always biological and everything comes around full circle. Thank you Mae for adding to this serious conversation, and I’m glad you came. I appreciate that. Thank you so much for stopping by. Shirley, a great post and tribute to you and your books. I have read them both and learned a lot from both of them. Thank you! My pleasure Karen. Thank you. As always, what you “put your hands in” looks, sounds and is presented with taste, clarity and historical information. Sister Theresa Maxis is an example of the covert and blatant racism that existed and still exists in the world we live in. Centuries of religion institutionalization, has not reduced the fears and greed that racism embraces. It is only when man thinks and lives the biblical words, “Love one another as I have loved you” that we see thoughts and actions free of the “inequities” of the world. Finally, keep building your legacy Shirley . . . the world needs many more “Shirlies!” And … I still believe you should consider spreading the word as a radio talk show host. Eamtradio.com would love to have you! Mamie you are amazing! I have been so blessed having you as a friend & I’m so glad our paths crossed. I talk about that a lot in both books. Some things are meant to be. Kindred Spirits crash into one another. Your words of wisdom add the right touch to these topics. What a surprise waking up to you this morning. Thank you so much for gracing us with your presence. Thanks Shirley for the correction. Reading and re-reading for mistakes sometimes, is not the answer. Dear Jan, I have been trying to get Sr. Theresa out there for the longest. 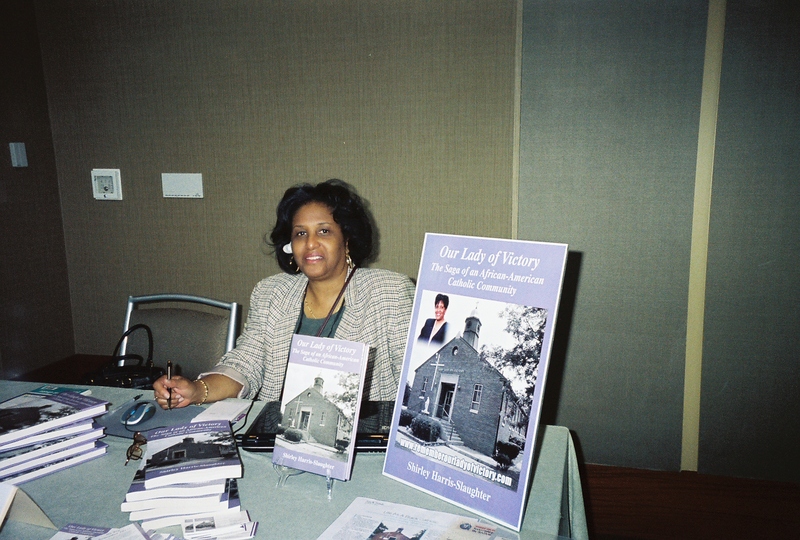 Thanks to RRBC the word is getting out and starting a conversation which is what I have always dreamed of. My sister attended Immaculata High School, a prestigeous all-girls Catholic school in Detroit (now closed) started by Sr. Theresa. Isn’t it something the things we dig up in our research? Working on OLV was an eye-opener for me. I’m so glad you are here Jan and thank you for stopping by and adding to this conversation. We do what we can A.P. Boustead. I’m just glad you took a moment to add your thoughts. Thank you so much. Hello, fellow Michigander! WOW! I love your Block Party blog! I have read both Our Lady of Victory and Crazy Hot. Each one is unique and compelling. I hope this blog stop introduces even more readers to your work. Wishing you the very best. And I love you and have such tremendous respect for you, Shirley. God bless you. Love your post, and I am a fan of both of your books! Have a great block party!!! D.L. Its gratifying to know you took something from both books. Thank you so much and glad you stopped by. Also glad we got to share the today together, too!